Raise your hand if your family ALWAYS watches the movie Elf around the holidays! If so, you know it’s hilarious (the movie is rated PG, FYI). Well, good news, Elf lovers! The Broadway show Elf the Musical is coming to Walton Arts Center and it’s based on the beloved 2003 movie with Will Ferrell. We’ve got four tickets to give away for opening night on Nov. 25th! 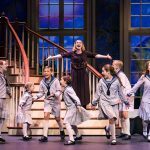 ABOUT THE SHOW: This delightful Broadway musical is for all ages. 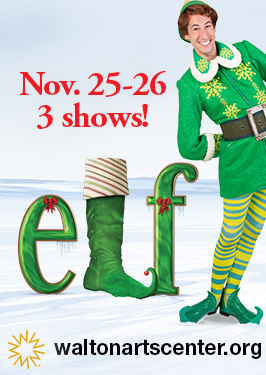 Elf the Musical is the hilarious tale of Buddy, a young orphan who mistakenly crawls into Santa’s bag of gifts and is transported to the North Pole where he is welcomed into Santa’s household. Unaware that he is actually human, Buddy’s size and poor toy-making skills cause him to face the truth. With Santa’s permission, Buddy embarks on a journey to find his birth father and help New York remember the true meaning of Christmas. Elf the Musical “is happy enough for families, savvy enough for city kids and plenty smart for adults!” says Variety magazine. This modern-day Christmas classic will help you embrace your inner elf. HOW TO ENTER: If you’d love to win these FOUR Elf the Musical tickets click on the words “post a comment” below tell us about your favorite scene in the movie Elf. If you’ve never seen the movie, tell us which movie is your favorite watch as a family around the holidays. INCREASE YOUR ODDS OF WINNING: If you’d like to increase your odds of winning the Elf tickets, just email friends and family about the giveaway and CC us so we’ll be sure to give you credit. We’ll give you an extra chance to win for each person you tell. 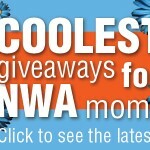 The email is giveaways@nwaMotherlode.com. Good luck, mamas! We’ll choose a winner on Friday! Beauty Buzz: Best products for whitening teeth? I love when they start singing Christmas carols towards the end of the movie to help Santa get his sleigh up in the air, always makes me teary. My favorite part is when he decorates the store in anticipation of Santas arrival. When Will realizes the Santa the department store hired is an imposter! Will Ferrell wa perfect for this role. My favorite scene is when he is walking down the sidewalk “SINGING and NO ONE IS LISTENING!” It reminds me of Cora and makes me laugh really hard. 🙂 I commented on FB, I follow you on Pinterest and Twitter and I also receive your newsletter. I love Buddy the Elf, it’s such a fun family Christmas story. Obviously our favorite scene is the syrup on the spaghetti and the four food groups..I believe that is the same as my kids!! Sugar!! My kids LOVE elf and we would love to see this show!! i love the scene where he puts tons of syrup on all of his food:) Too funny!! I would love to win my first win with this! It would be so fun!! Can’t decide!! Love the entire movie! I follow you on Pinterest and Facebook! I love the breakfast scene where he has so much candy and sugar on his pancakes. Pretty sure it is every kids dream to eat a breakfast like that – I know it was mine! I love this whole movie! Would love to win these tickets! My favorite part of the movie is when buddy gets told that he was adopted. I love how he wants to go find his real dad that’s on the naughty list. My kids saw Buddy the Elf at Halloween and asked about the character. What a great way tomshow them. Otherwise our Christmas tradition movies are The Grinch, Polar Express, Charlie Brown Christmas (for my husband) and Christmas Shoes. I cant remember a scene i love from Elf; its all so funny. So my favorite Christmas movie would have to be How the Grinch Stole Christmas! Our family loves the scene where Buddy puts syrup on everything! So silly! I just love that whole movie!! Our family loves it when he starts eating all the candy and syrup on his dinner. He mentions the food groups. My boys love it and try to use that to get more candy! How the grinch stole Christmas is my fave. 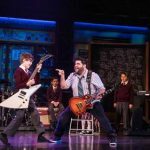 Have not seen this but would love to go see the play. Our family loves it when Buddy starts eating all the candy and syrup on his dinner. He mentions the food groups. My boys love it and try to use that to get more candy! Staple movie at Christmas…We all die laughing at the bathroom scene when he closes his eyes and runs into the lockers!!! Too Funny! Charlie Brown Christmas is my favorite! I’ve never watched Elf. The whole movie is hilarious! 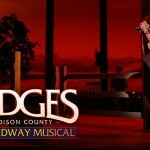 Love Broadway musicals, this one would have to be great. Loved it! My favorite scene is Jovie taking Buddy to see the Christmas tree and the look on his face. Any scene with Will Ferrell in tights!!!! “You’re not Santa! You smell like Beef and cheese!” My favorite! By far, when Buddy’s leaving the North Pole. “Bye Arctic Puffin” and the Narwhal, “Bye Buddy, Hope you find your dad!” Still funny every time. There are so many scenes that we love. I can’t even decide which is the best. My favorite part is when he was working in the mail room! My family loves this movie!! We laugh so much every time we watch it! I love it when Buddy says: “I thought maybe we could make gingerbread houses, And eat cookie dough, and go ice skating, and, and maybe even hold hands.” …I follow you on Facebook, twitter, and pinterest. This has always been my daughter’s (she’s 23 now) favorite Christmas movie. We watch it at least once every year – usually more! I’d love to win the tickets and treat her to seeing the play ! What fun! i receive your newsletter. I can’t pick just one favorite scene, the entire movie is hilarious and is my 6 year old daughter’s favorite movie! I love when everyone starts singing together and Santa’s sleigh takes off! I love it when Buddy mistakes a midget for an elf. I don’t know how they kept straight faces filmin that movie. Too funny! I love when Buddy the Elf, with some help, is able to get people to believe again and to spread Christmas Cheer by singing. Whether you believe or not…everyone should have a little Christmas Spirit in them. I love when Elf puts syrup all over his sugary breakfast. I love everything about Elf, so it’s hard to choose a favorite. But I love the scene when he and his brother are in central park and have a snowball fight and his arm goes 90 to nothing. Ha! The mail room scene is hilarious…when Buddy deocrates the store for Christmas…when he describes all the food groups and it’s all sugar…putting syrup on spaghetti…it’s all hilarious!! Great movie! When he moves in with his dad! 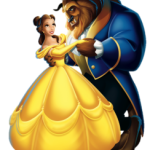 Don’t really have a favorite scene–love the movie and would love tickets to the show! Love this movie & have a lot of favorites. One would be the snowball fight. Hi! I’m Buddy! What’s your favorite color? This is one of my ALL time FAVORITE Christmas Movies. There are too many favorite scenes to choose just one. I love ELF!!!!!! We LOVE this movie!! So many favorites! I love the scene when Buddy is in the department store & they announce that Santa is coming & he starts screaming Santa & gets so excited! When he answers the phone in his dad’s office because my sister was one of a dozen receptionist at a large company that received thousands of calls a day and one day I was absent mindedly returning a phone call (didn’t realize the company) and she answered ,”Buddy the Elf. What’s your favorite color?” I literally choked because I laughed so hard! She said she had been waiting weeks to say it and she finally recognized a number and it just happened to be mine. My favorite scene is the snowball scene. The brother realizes that even though Buddy is different, he is also a pretty cold guy. Oh, I follow on Pinterest and Twitter. And, I commented on Facebook. Our favorite family movie of the Christmas season!!! We always watch the movie after putting up all of our decorations the day after Thanksgiving!! Would love to see the musical!! There are many many favorite scenes that are too funny but I love it when Buddy’s dad’s heart begins to change towards his family and he realizes what is most important-family!! And on and on…I might drive my family a bit crazy with Elf quotes at Christmas time. One of my all time favorites! I love all the crazy sweet stuff he eats! When they all start signing Christmas songs toward the end! My favorite scene is when they’re having dinner and he asks for SYRUP. The whole movie is funny!! We love the imposter Santa at the department store. The whole movie is terrific! I love when he gets all excited that “Santa” is coming to the department store. The “angry elf” scene always kills me! “Ooooh, you’re an angry elf!! I love the whole movie! But one thing that comes to mind is the song he sings when he meets his dad for the first time. So funny! Also, I commented on FB and am now following you on Twitter and Pinterest! I get your newsletters, too, but am not new to that … Thanks! I can’t pick just one scene. The Elf movie is a year round favorite watch at our house. my 6 yr old loves this movie. December he watches it all month long. He said his favorite part it when Buddy goes to the DR. And the breakfast table scene. Hope we win he would be in Elf Heaven. Elf is one of our favorite Christmas movies of all time! We quote things all the time from that movie! My girls would love to see the musical! Our favorite part is when he says that the fake Santa smells like beef and cheese! And I love smiling! Smiling’s my favorite! I love when Buddy sprays perfume in his mouth and then makes that terrible face. Would love to take my mother and my girls! One of our favorite scenes is the “splits” on the escalaotor and of course the syrup on everything !!!! Santa! I follow on FB and Pinterest. I also shared on FB. My Favorite scene is when santa gets stuck in the park, and buddy gets the slay flying. Snd seeing all the magic of Christmas in everyone’s eyes when santa flys over the city. I love it when he answers the phones, “Buddy the Elf…what’s your favorite color?” So happy and optimistic all the time! Love it! My favorite scene is in the park when everyone starts singing. Love it. Following you on Facebook. Thanks! I love the whole movie!! Elf is my favorite Christmas movie! There are so many good parts it’s hard for me to pick just one but the scene at the dept store with Santa is probably the best. This just makes me want to watch the movie again! My favorite part is when he is sees the toilets “they are GINORMOUS” oh! And when he hears Jovie singing and he joins in!!!! My favorite part of the movie is where Buddy meets the racoon and he says, ” Come I want a hug.” The racoon hisses at Buddy. Buddy proceeds to hug him anyway and the racoon attacks Buddy. Buddy says, I just wanna hug!” So funny. My children and I love “The Elf.” It is a tradition at our home every Christmas to watch the movie. Merry Christmas and God Bless! Haven’t seen Elf… not sure why, since we love Will Ferrell. ( Streaking scene in Old School is classic). Favorite holiday movie? National Lampoon’s Christmas Vacation, of course! Are your serious, Clark? I have never seen Elf….not sure why because I love Will Ferrell. ( Streaking scene in Old School is classic.) Our favorite Christmas movie? National Lampoon’s Christmas Vacation, of course! Are you serious, Clark? I love the whole movie! I couldn’t pick my favorite scene! The Baby it’s Cold Outside” scene in the bathroom! The Grinch will always be my favorite followed by A Christmas Carol (George C Scott) version. It’s Santa, I know him. I love it when he decorates the department store. We elves only eat from the four main food groups: candy, candy corn, candy canes, and syrup. I mean who doesn’t like syrup on their spaghetti! I’ve never seen Elf :-/ But we’d love to go watch the musical as a family! My favorite holiday movie it The Family Stone. I like the scene when Jovie is singing “Baby It’s Cold Outside” in the shower and Buddy joins in. The song is my fave Christmas song. Our most enjoyed holiday movie is “Its a Wonderful Life”. When he innocently gives his father the Mrs. Claus lingerie as a present because he has no clue what it is. So funny. My kids favorite part of the movie is when Buddy sings Baby It’s Cold Outside. I have never watched Elf, but my kids love it and it would be fun to take them. I watch Hallmark Christmas movies during the holidays. my kids love the snowball part. We would love to go to this show. I love it when he talks about the seven layers of the candy came forest. I like to think about that from a child’s perspective. Love the movie!!! Four words: Cotton Headed Ninny Muggins. friendly movie. We watch it multiple times every year. I have not seen Elf all the way through. That is something I need to do. But my favorite Christmas show is The Christmas Story. You’ll shoot your eye out kid. Love that show. I love Buddy decorating the store with hanging snowflakes in preparations for Santa. SANTAS COMING. My favorite part of Elf is when Buddy says to the racoon, ” does someone need a hug? The racoon then punches him out. It always makes me laugh! We have only seen this movie 1 time, but we enjoy watching home alone every year. We would love a fun night out to see the play! Super fun! This is one of our family’s favorite movies – my husband even likes it. The whole movie is great but my favorite scene is where he meets the fake Santa “beef and cheese” and also his scene with the angry elf – too funny!! We watch Home Alone every year but my son would love to see this play he has never been to one!! The best way to spread Christmas cheer is by singing loud for all to hear!!! Love how he sees the world through kids’ eyes and discovers things like frozen bubbly gum! When “Santa” comes to the toy store and Buddy says he’s not the real Santa. Every line is too funny! One of the many favorites is when he mentions the elves’ four major food groups! Sounds an awful lot like me! My grandchildren absolutely love the entire movie. Elf is a huge favorite character.. One of the favorite Christmas movies for them. My grandchildren absolutely love the entire movie. Elf is a huge favorite character.. When they sing Baby It’s Cold Outside!! My favorite “watch around the holidays” movie is: A Christmas Story! I am obsessed! I love that movie! My favorite is where the dept store boss announces Santa is coming the next morning and Buddy freaks out “Santa”!!! Love Elf! When Buddy the Elf quotes his four food groups – candy, candy canes, candy corn and maple syrup! “Call me an elf one more time..!” “Oooh, he must be a South Pole elf”. That whole scene. And pretty much the while movie! Any part because it has Will Ferrell in it! When Buddy is working and the boss says ok everyone Santa is coming and Buddy screams SANTA!!! we’ve not seen Elf but would like to do so. we like to watch the traditional movies at the holidays. for example, rudolph and frosty. thank you for the chance to win. we’d love to get to go to the show. what does it mean that my comment is awaiting moderation? I love when he is at the table and covers everything in maple syrup. Love the movie. Watch it every year! We love to watch How the Grinch Stole Christmas! Very funny movie. I am sure the musical is just as good. I like when Buddy is using the etch-a-sketch and writes “I’m Sorry I ruined your lives and crammed eleven cookies into the VCR! Elf is my favorite Christmas movie. Elf is my favorite Christmas movie. I love when they come home to find that Buddy has decorated their entire home with snowflakes and other decor. I also love when he guzzles maple syrup. I’ve never seen Elf but thought it would be great for my granddaughters. We watch Miracle of 34th Street and White Christmas. “i just love smiling. smiling is my favorite.” “buddy the elf, what’s your favorite color ” “SSAANNTAAAA! !!! !” “bye buddy! hope you find your dad! ” love love love this movie! !!!! please pick me! I have seen the movie but sure I could pic a ‘favorite’ part it’s such a cute movie. My family’s favorite holiday movie though are the Santa Clause movies with Tim Allen. One of my favorite scenes is when Buddy says, “Watch out for the yellow ones, they don’t stop.”– talking about the taxis.